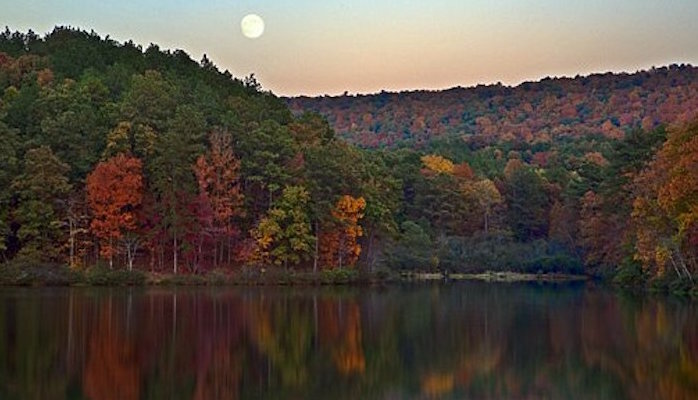 Just 30 minutes from downtown Birmingham, the gorgeous Oak Mountain State Park is considered some of the best trail running in North America. With 51 miles of singletrack, there is plenty of varied elevation and terrain for a run of any level. One of the most popular running trails in the park is the 2.3 mile multi-use Lake Trail, which can be accessed from Terrace Drive or the South Trailhead Parking Lot. The trail offers a multitude of connections for runners who want to take on more mileage. One of the more popular challenging routes is the trail to scenic Peavine Falls. For a challenging road option, Peavine Falls Rd. goes for about 3 miles and twisty and hilly. There is an entrance fee of $4 to access the trails.